HVAC systems play a crucial role in many industrial cooling applications. 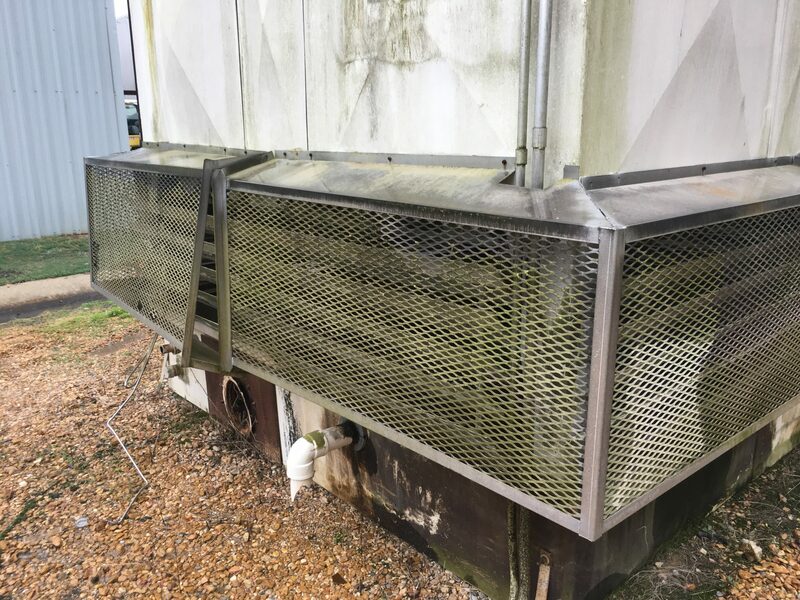 These systems – composed of cooling towers, chillers and air handlers – are used to cool areas where high heat loads can shut down critical processes. This could stem from machinery that generates extensive heat, or where cooling and ventilation are required to protect temperature- and humidity-sensitive equipment. 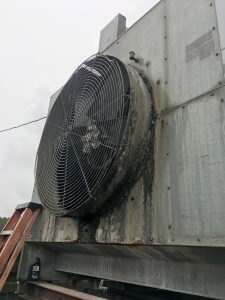 In the case of a large paper mill operated by one of the world’s leading makers of tissue, pulp, paper, and packaging products, a primary cooling tower, along with other HVAC apparatus, is vital to keeping the electrical equipment rooms cooled. These enclosures hold heat-sensitive instrumentation used to monitor and control essential plant operations. The plant, located in southern Mississippi, is one of the country’s largest producers of containerboards which are used in the fabrication of durable cardboard boxes. The mill recently needed to replace the cooling tower used for the electrical rooms along with an additional tower that supplied comfort air to the building’s offices. Both cooling towers were the classic metal-clad design framed with wood, and were beginning to disintegrate. “Our cooling towers were maintenance-intensive and getting to be unreliable,” explains Brian Lloyd, an electrical and instrumentation planner for the mill. “So, we decided to immediately replace the two that were integrated with the HVAC equipment.” Cooling towers have undergone substantial design changes over the years since the mill last required a replacement. To evaluate the different options that would best fit their application, Lloyd consulted with experts in custom engineered systems including Russell Cready of Tencarva Machinery Company, an equipment distributor that serves the southeastern United States. Cready was well aware of the drawbacks of the metal-clad type of cooling towers that the mill wanted to replace. Among those is the frequent need for costly maintenance due in part to the fact that they are highly susceptible to corrosion. They tend to require repeated and expensive repairs such as re-sheeting and welding, as well as expensive water treatment chemicals. Upon reviewing the mill’s cooling tower replacement priorities, Cready proposed utilizing a line of engineered plastic cooling towers made out of high-density polyethylene (HDPE). These towers are impervious to weather, caustic conditions and water treatment chemicals that plague metal-clad cooling towers. 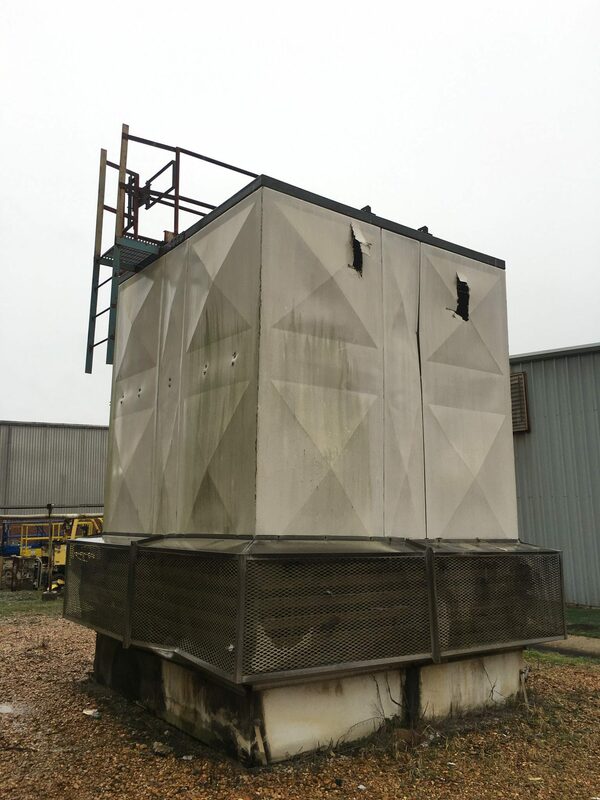 HDPE cooling towers do not rust or corrode, which eliminates the need for costly repairs and downtime. Cready recommended, and the mill’s facility engineers elected to install cooling towers manufactured by Delta Cooling. The company pioneered the HDPE plastic cooling design in the 1970s, and offers a 20-year factory warranty. The second requirement, a long cooling tower lifespan, is an inherent benefit of HDPE construction. The Mississippi mill selected Delta’s TM Series, an induced-draft, counter-flow design available in single unit capacities from 250 to 2,500 cooling tons. The TM Series offers a unique modular design that allows the cooling towers to be assembled in multiple configurations of up to six units. “This modular design is appealing to many users because it makes it easier for them to add-on to the existing towers to meet future cooling needs,” Cready says. Brian Lloyd adds that because the new cooling towers are self-contained and factory assembled, installation inside the mill was far easier and less intrusive. The design of the two new cooling towers promises to add substantial operating savings to the plant. For example, in addition to the HDPE structural material, the tower’s “plumbing” features totally enclosed, non-corroding PVC pipe and non-clog spray nozzles, which will further reduce maintenance costs. Lloyd also noted that the new cooling towers are more efficient and consume less power. For more information, contact Delta Cooling Towers, Inc.; (800) 289.3358; email: sales@deltacooling.com; or visit the web site: www.deltacooling.com.